I love San Francisco, cable cars. 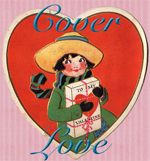 and vintage clothes so Hattie Ever After was a shoe-in for this week’s Cover Love. I love the Hyde Street Cable Car behind Hattie, the pretty vintage outfit she’s wearing, that Hattie’s holding a book (or notebook), and the beautiful colors of the sky and trees in the background. The book synopsis also mentions reporters, San Francisco, Nellie Bly, a travelling acting troupe, and a mystery. Yes, yes, yes, yes, and yes! Oooooooh vintage! I adore her clothes. Very nice pick! Thanks; I always have fun picking out covers for the Cover Love feature! I know, right? 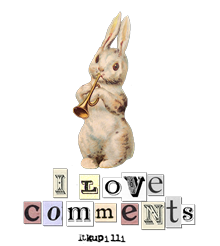 :) Thanks for commenting! I’m excited for this book to come out next year! :) Thanks for stopping by & commenting! Me too! Oh goodness, I came back over here to find the title and melted again. I love the look of it and AH VINTAGE! I love vintage clothes as well!! I just read a book about a girl who buys vintage clothes at thrift stores and the best part of the book was the descriptions of her outfits everyday :) This book you have here sounds good too… i’ve never heard of it before, but I like!! PS- I like your new design… very cute! Lovely cover. I especially love the hats from the time period. Thank you for the follow. I have added your RSS to my reader and am looking forward to more of your posts. The hats from that time period are beautiful! :) Thank you so much!! !